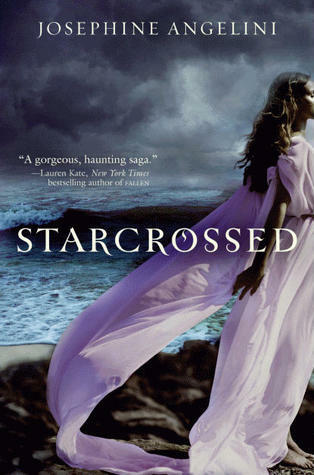 ﻿Small blurb from Goodreads.com: Helen Hamilton has spent her entire sixteen years trying to hide how different she is. Nightmares of a desperate desert journey have Helen waking parched, only to find her sheets damaged by dirt and dust. At school she's haunted by hallucinations of three women weeping tears of blood . . . and when Helen first crosses paths with Lucas Delos, she has no way of knowing they're destined to play the leading roles in a tragedy the Fates insist on repeating throughout history. Teaser from page 82: "He looked down at her, and when his icy blue eyes met her warm brown ones, a thrill ran down her legs. Helen jumped up into a fighting crouch." I am loving this book!! Nice teaser. We both have warm brown eyes, just like our dog.